Today I am looking forward to taking the opportunity to look at the book of James with you. It is a book which has over years courted controversy. Martin Luther famously described it as an “epistle of straw”. Luther of course brought about the vital realisation that salvation is through faith in Jesus and faith alone. In James some have seen a conflict as it presents an emphasis upon good works. Although the book never says that we can achieve our salvation through good works. Many Christians have found the letter of James immensely practical and helpful. There are 3 men called James in the New Testament. The first is a fisherman, son of Zebedee, brother of John. This James was beheaded in the early days of the church. James the Younger we know almost nothing about him. So the third James is considered most likely. Not without any argument, most take the view that the James who writes this letter is James the brother of Jesus, or to be more precise Jesus’ half-brother. You might think it only natural that James would play a full part in the family business of spreading the good news of Jesus, but a quick look at the history shows that James’ path to writing this letter was far from straight forward. The people queried Jesus’ claims about himself because they knew where he was from, they knew his family. If you would be tempted to imagine that being the half-brother of the perfect Son of God would be easy, then it would seem you would be wrong. The few references we have to family relations suggest things were more than a little awkward. And one of Jesus’ final acts from the cross was to commend his mother Mary to the care of his disciple John. Were James and the others not thought fit for the task? The Bible tells us nothing else about this meeting but it is clear that James’ life was changed when he met his resurrected brother. And in the same book James is described as one of the ‘pillars’ of the early church in Jerusalem. When Peter escaped from prison, he was at pains to make sure that those in the prayer meeting told James what had happened. James too is an important and vocal figure in sorting out some of the conflicts over the Jewish law and customs as Gentiles came to faith in Jesus. You might think this is one very important man. Literally Jesus’ right hand man, a leader in the church, so we might expect James to list his credentials at the start of this letter. If ever a man had an excuse to name drop. James is simply this: “a servant of God and of the Lord Jesus Christ. One of the themes of James’ letter is to be humility and here he is humility personified. He assesses himself as a servant or slave. His relationship with Jesus is not as brother and brother, but is as servant and Lord. He is not claiming any special status here. He is on the level with his readers. More of that soon. An important question always. But the answer is not that illuminating. It does not seem to be written to one particular post code, but is written to a group of people who are scattered among the nations. James starts by bringing greetings to 12 tribes – this is a letter from a prominent Jewish believer in Jerusalem to Jewish believers scattered throughout the nations. Not only are they all Jews. They are all servants of the Lord Jesus Christ. Back to those complainers about the letter of James. Apart from the perceived conflicts with other parts of scripture, some have argued that important doctrinal matters have been left out. But of course not all new testament letters cover the same ground. How odd would that be? It is a letter which has its own style. It has been compared to the book of Proverbs in style of writing, a series of wise thoughts more than a formal letter format. It has also been compared to the sermon on the mount in many of the themes discussed. Taking from his brother’s great sermon, themes which he might have heard preached on regular occasions. Far from being unbiblical I believe we will see that James’ letter is full of scriptural truth. James has some encouragement from verse 2 onwards for his brothers and sisters. He’s going to give them something to be joyful about. “Consider it pure joy, my brothers and sisters”. Now that’s a great start to a letter. It’s good news. But probably not the good news readers and listeners might be hoping for. What is this joy? It is when Christians face trials of many kinds. The language is plain too. James says “when”. Trials are to be expected for those who follow Jesus. To follow Jesus is not a way of ease and health and wealth and happiness. It is a way of trial. Things WILL be tough. To go through the trials of life might not be something we would welcome. Perhaps we thought as Christians we would now be exempt. But new particular trials come our way too because of our faith. But James is adamant that these trials should be welcomed as having a positive effect. There is a process going on here, a progression. Trials test your faith. Faith in turn produces perseverance (not giving up in the face of difficulty). Experiencing the pressures of life will demonstrate the strength of your faith. Perseverance is working in you. To make you mature and complete. This was always going to be the case for people who set out to follow Jesus. But from the start Jesus taught that it would be worth it. So the ultimate goal, if we face our trials, is maturity and completeness. Echoing Psalm 23, James assures his readers they will “not lacking anything”. I wonder is that your experience? Would you be able to say that because Jesus is your Lord, you have everything you need in and through Him? Or do you feel there are a whole load of other things you need to make your life complete? Later on in verse 12 James continues to encourage perseverance. It is the way to experience God’s blessing. God is truly pleased with those who keep going in the face of trouble. The crown of life will be their reward. Because of Jesus we can truly say we lack nothing and now James turns his attention to a particular quality faith in Jesus can bring. James now recognises a Christian’s need for wisdom and provides a simple solution for this. Ask God for it! An important part of our prayer life is to ask for the things we need. Jesus reminds us that God is a good Father who longs to give us good things. We need wisdom, and with the Holy Spirit living in us, that is not just a forlorn hope. It all seems very simple. You need it? Ask God for it! And this might surprise us – God “gives generously”. Is your view of God as a generous Father God or are you constantly trying to get on the right side of him? Are you convinced that he will never answer your prayers, that you will never know his blessing? Perhaps you think you are not good enough. The second surprise then is this – God gives wisdom to his children “without finding fault”. As Christians we need to see God through different eyes, to have an unshakeable conviction in the fundamental goodness of God. God is for you, will always be for you and will never be against you. God is your loving Father. Ask and it will be given. This is a prayer that God will answer. What do you need wisdom for? Wisdom for life? Wisdom for a particular situation? Wisdom to understand God’s ways? The one who doubts is unstable. Tossed about by life’s trials.That will not result in receiving the Father’s wisdom. We need to be careful here though. To be a Christian is not to live a life free of doubt. We will have our doubts. It’s often there again that we find our faith is real as we persevere against all that we feel. A man once said to Jesus “I do believe. Help my unbelief”. Thomas famously doubted but he was ready to believe. The Bible distinguishes between doubt and unbelief. We need to be honest about our doubts which are a normal part of the life of faith. But unbelief is more of a refusal to believe in what God offers us. Don’t be double minded. Show that you are a believer. James presents us with humility and pride. He actually presents us with a humble pride! Those who are poor might not have much to be proud of, but James encourages them to be proud of their high position. Where is their high position? Their high position is who they are in Jesus. Not in what abilities or material things they have. Not in what they have but in who they are. Who are you as a Christian? A child of God. God’s masterpiece. Made in his image. A new creation. Clothed in Jesus’ righteousness, a temple for God’s Spirit. Not a slave but a child. Not a servant but a friend. Forgiven and accepted. Those are things to truly be proud of in the right sense. There will though be rich and poor. The poor cannot boast in the riches they don’t have. The rich must not boast in the earthly riches they do have, whatever the temptation. Temptation. We all get it. Where does it come from? Can we say that it comes from God? Wrong! James says, God does not tempt. Temptation rather comes from within our own selves. We cannot pin it on anyone else. We cannot point the finger as Adam did at Eve. Or Eve at the serpent. When we are tempted we need to take responsibility. Of course we are all tempted. Jesus was tempted. It is not a sin to be tempted but it becomes sin when we give in. But James reminds us that we can be our own worst enemies in this area. We don’t help ourselves. It’s your own evil desires being allowed to lead you, when you give into temptation. But you and I need to take care what we are feeding our minds hearts ears and eyes with. We might just be storing up trouble for ourselves for later. Feed sin in this way and its ultimately a fatal disease. James then turns his attention to anger. A time to listen and a time to keep your mouth shut. I wonder do we often need to listen much more than speak? Be slow to be angry. It’s not the way of God to let anger take control and it’s not what he requires from his children. There is a place where God shows righteous anger, but it is so far removed from the uncontrolled anger that we often show. What he wants from us is righteousness above anger. But do we get angry about the things God gets angry about? Get rid of moral filth and evil, James says. As we have already said, think about what you are feeding yourself with. Get rid of what you have allowed in. And show that humility again. Accepting God’s word planted in you. A far better thing to plant than many of those other things. Feeding your evil desires leads to death, but it is by the word of God in us that we are saved. And now to one of those well-known sections of James. The word that saves you should also shape the way you live. You don’t just read it for a good read. You live it out. How often do we allow the word of God to just go over our heads? How much does what we hear on Sunday shape us on Monday? How often do we forget our daily bible reading before breakfast? 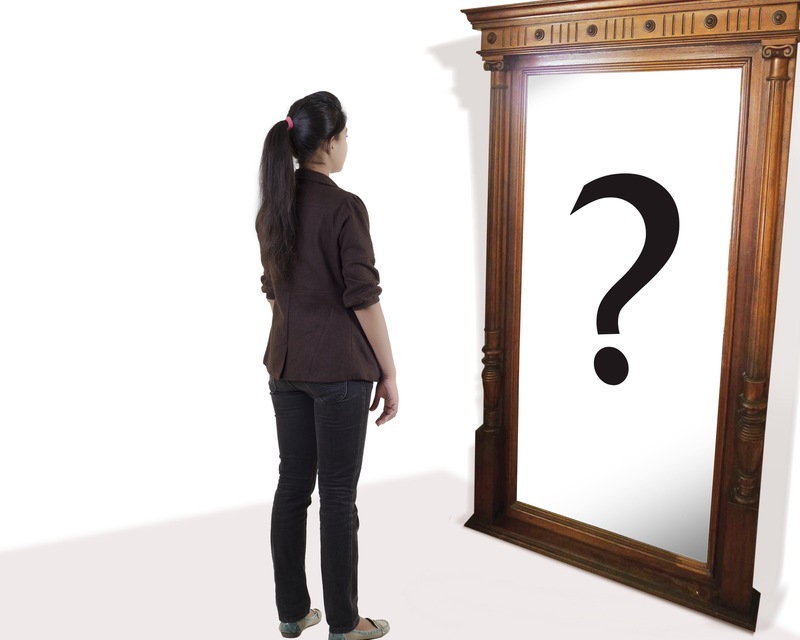 James compares this Bible amnesia with looking at yourself in the mirror. And then walking away and forgetting. Perhaps we might even choose to forget if we don’t like what we’re reading! James’ view is that it is a nonsense to treat God’s word in this way! It is interesting too how James refers to the word of God as a mirror. The Bible shows us Jesus. But also a lot of the time it shows us ourselves. It tells us how we should be and sadly shows us as we are. Mirrors were a rarity in James’ day. There wasn’t so much opportunity for people to stand around looking at themselves. Section 161 of the Highway Code reminds us that we need to use mirrors frequently and effectively throughout our car journey. Throughout our life journey we need to be looking into the word of God. Because it is the perfect law that gives freedom. Not a list of rules to tie us down. Looking intently, is what we need to do. Not just forgetting but actually doing the things that God tells us to in his word. Again that is where we find blessing. Just as those who persevere in trial, God will be pleased with those who obey his word rather than just reading it as a text book. Again we are reminded of some of Jesus’ words from that sermon. What are we basing our lives on? Yes. It’s that wisdom again! And so we come towards the end of the chapter. We tend to reject religion in our day. “I’m not religious, I’m a Christian”. But religion is OK. James says so. But it is probably not the religion that we think of. That gives us a set of rules to obey. That marks us out as a bit eccentric. Or judgemental of others. Remember James talked about the law that gives freedom. Worthless religion, he says, is being unable to control your tongues. Believing one thing but speaking another! James has much to say later in his letter about controlling the tongue. James is not looking for a religion which is a set of beliefs which has no impact upon your speech (or our behaviour, as we have already seen). Pure and faultless religion is what James calls for. This has 2 aspects. Care for the needy, e.g. widows and orphans. It is important how we treat others. Personal holiness is also seen in true religion. It actually matters that we live moral lives, not polluted by the standards of this world. So as we look back over this chapter, what is our religion like? Do we seek God’s wisdom? Is my life all about ME? Do we give in to temptation? Do I let my anger take control? Do I read the word of God as just a religious exercise? Does my religion not just change me but actually make the world a better place for those around me?